In 1951 the Parmi Nous honorary society tapped its first African American member, Hardy Williams. 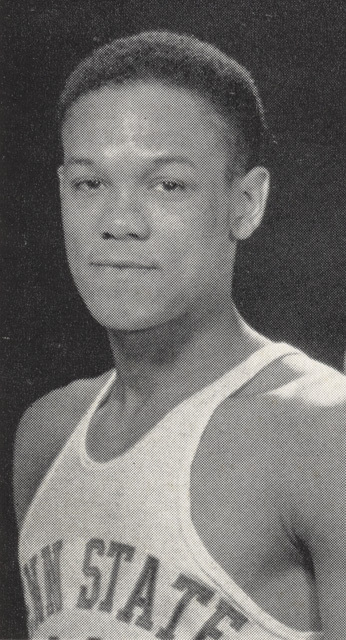 Williams, Liberal Arts major from Philadelphia, co-captained the basketball team and was the first African American to earn a varsity letter in the sport (1949) at Penn State. With the assistance from a young freshman named Jesse Arnelle (who would later become Penn State’s only first team All-American basketball player in 1955), Williams would also lead the team to its first tournament championship in 32 years. 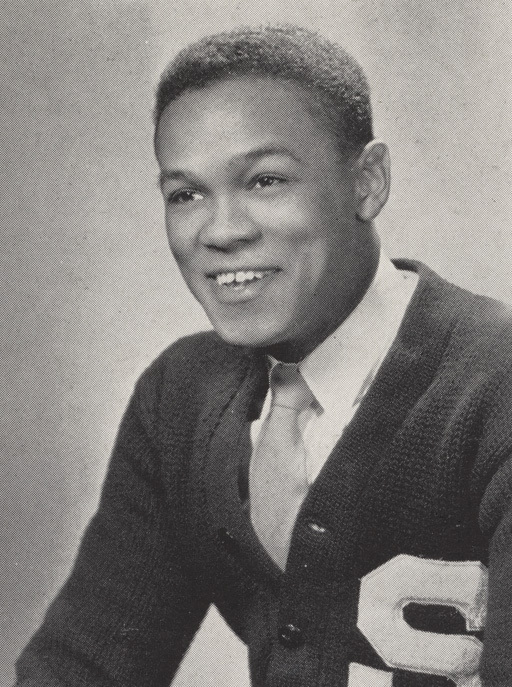 A member of Omega Psi Phi fraternity, Williams graduated in the top 20 of his 1952 graduating class at Penn State. Williams also served as president of the Pi Lambda Sigma pre-law honorary society. After two years as an Air Force lieutenant, serving in South Korea, he returned to graduate from the University of Pennsylvania Law School. After practicing as an attorney for several years, he was drawn to a career in public service. He was elected to the Pennsylvania General Assembly in 1968, serving until 1982, when he ran successfully as an independent Democrat for state senator. In 1971, Williams was the first African-American candidate for mayor in Philadelphia to gain widespread public support. His efforts led to the election of other independent Democrats throughout the city. W. Wilson Goode, the first African-American mayor of Philadelphia, acquired his initial political experience serving as co-campaign manager for Williams’ 1971 campaign. Williams would be appointed by Governor Milton Shapp in 1972 to serve on the Penn State University Board of Trustee. Joining his old college teammate, Jesse Arnelle, Williams would serve on the Board of Trustees until 1975. In 1997 Williams was awarded the Distinguished Alumni Award from Penn State, the highest honor the University can bestow on an Alumni. Williams retired from the Pennsylvania Senate in 1998, replaced by his son Anthony Hardy Williams. On February 26, 2009, the Renaissance Advantage Charter School (RACS) in Philadelphia was renamed the Hardy Williams Academy Charter School. The RACS leadership chose to rename the school after Williams to recognize the local leader and help inspire students about their own potential to succeed. Williams passed away at the age of 78 in January 2010.